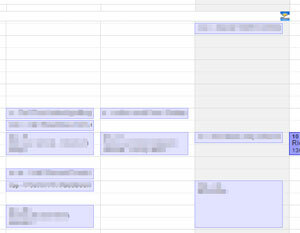 I use my Google calendar for just about everything that goes on in my life. This includes all of my onsite computer repair appointments here in Safety Harbor of course, but also birthday and anniversary reminders, dentist appointments, online webinars, etc. So I don’t like it when I get an email to remind me of an appointment, and it automatically ADDS that appointment to my Google calendar. Here’s how to disable that from happening. I’ll go to the dentist for the 6-month checkup, and before I leave, we set an appointment for the next visit. So I enter that in my Google calendar on that date 6 months into the future. That way I won’t accidentally book anything else into that time. Then, 5 months and 3 weeks later, my dentist office sends me an email to remind me of that appointment. And just to double check, I go to my Google calendar and look, and in that time slot I now have TWO appointments booked for the dentist at that date and time. One is the appointment I entered 6 months previously, and the other one was just put there by that email that came in. So I have to delete one of them. The same thing happens when I sign up to attend an online webinar. I’ll put it on my calendar so I don’t forget, but inevitably the webinar system automatically sends out a reminder to everyone that registered. So I end up with two entries for that one event again. I just want these “convenient” reminder emails to leave my calendar alone! Fortunately there’s an easy solution. 4. Scroll all the way to the bottom of the page and click Save. All done! 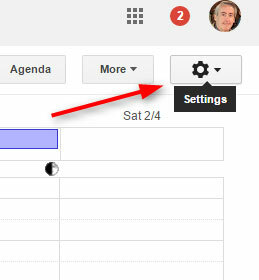 Now the only entries you’ll find in your Google Calendar are ones that you deliberately created yourself.